Canon 60D Review - Is the 60D a Good DSLR? 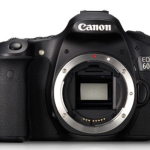 →Canon 60D Review – Is the 60D a Good DSLR? While there a number of major digital camera manufacturers in the marketplace today, no one does it better than Canon, who offers such a wide variety of cameras that they dominate all segments of the consumer digital camera market. Canon’s goal is to have consumers for life and to move consumers from their point and shoot lineup into their entry level or “Rebel” series and then into the mid level or “ XXD” series and ultimately into the “high level “XD” series. Each series has a number of excellent cameras with various features that appeal to the consumer in that particular segment. One of the most popular cameras in the mid-level series is the Canon 60D, which was first introduced in 2010 and remains in their lineup because it is such a great camera. Sensor: The heart of the 60D is the 18.0 megapixel CMOS sensor that uses the APS-C format. This format is a based upon a smaller sensor, which measures 22.3mm x 14.9mm, and has a 1.6x crop factor. What this means is that subjects shot using the 60D or any other APS-C sensor using a normal lens will be the same as an image shot on a full frame camera using a lens that is 1.6x longer. An example of this would be an image captured on a 60D using a 50mm prime lens will be identical to the same image captured on a full frame camera, such as the 6D, using a 80mm lens. APS-C sensors make normal lens longer than they would be on a full frame camera. APS-C Sensors: APS-C sensors are smaller and less expensive to manufacture than full frame sensors. These sensors are the key to entry and mid-level DSLR cameras being so affordable. Although cheaper to manufacture, these sensors are capable of producing excellent image quality, even in low light conditions using moderately high ISO settings. Canon even use APS-C sensors in their “professional grade” 7D and 7D Mark II cameras, which are very popular with sports and wildlife photographers. Processor: RAW or JPEG images captured by the sensor in the 60D are processed by the camera’s DIGIC 4 processor and written to a SD / SDHC or SDXC memory card, which is located in the camera’s single memory slot. The DIGIC 4 processor is key to the camera being able to shoot at constant 5.3 frames per second, which is a fairly fast rate for a mid-level camera. Viewfinder: The viewfinder on the 60D provides 96% coverage of the image covered meaning that the photographer will need to be careful in composing their shoots as the image captured is going to be slightly larger on the borders than it appears in the viewfinder. In practice, this is hardly noticeable once the photographer gets use to where the actual edges are in relation to what is being seen in the viewfinder. Autofocus Points: While many cameras seem to be jamming more and more autofocus points into the viewfinder, the 60D has a reasonable 9 autofocus points that are evenly distributed in the view finder. Many photographers find that too many autofocus points become distracting and take away from proper composition of the image. The autofocus system is very good and locks onto subjects in a wide variety of situations including low light. Moving focus points is quick and easy as well. Control Settings: As with most cameras, the 60D allows the photographer to control the camera’s key functions through a variety of exposure and scenic modes. These modes include program, shutter priority, aperture priority and full automatic, where the photographer simply points and shoots. Photographers of all abilities will like the numerous creative exposure modes, where the camera has built in settings to maximize image quality for such things as fireworks, landscape, portrait and sunset shots. In addition, the camera meters through a TTL metering system with a 63 zone SPC. Metering modes include evaluative, partial, spot and center-weighted. One of the great things about the 60D is that the photographer can grow into the camera as their skills develop. ISO: The 60D is capable of shooting at a native ISO range of 100-6,400 and can be expanded up to 12,800 if conditions require such a high setting. One of the things to keep in mind with the 60D is that the camera’s best results are obtained when using moderate ISO settings. As with most cameras, image quality is diminishes at high ISO settings, as the noise reducing software will remove image detail as it removes noise. In most cases, high ISO settings result in “soft” images. Action Photography: The 60D is a great camera for all types of photography, including sports and action photography due to an excellent shutter, which is capable of speeds ranging from 1/8,000 to 30 seconds. Most cameras at this price point are significantly slower at 1/4,000 of a second. Flash: The built in flash is very capable and does a good job in providing both fill in flash, as well as flash for low light situations as well. In actual use the flash recycles quickly and if necessary, the camera has a built in hot shoe for a flash unit as well. On a related note, the 60D is capable of using a wide variety of Canon lenses designed for APS-S and full frame cameras and often a fast lens will allow lower ISO settings and reduce the need for a flash in low light conditions. HD Video: As with most cameras, the 60D is capable of capturing HD video at 1,920 x 1,080 at 30 frames per second. Video and still images are viewed on the rear LCD display, which measures 3.0”. This LCD screen also swivels, allowing the photographer a great deal of flexibility in composing shots, without the need for the photographer to contort their body to get the shot. 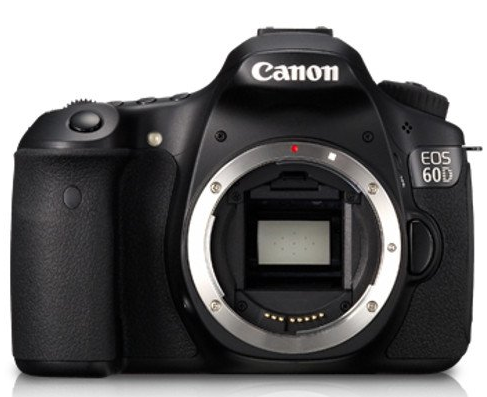 Weight and Dimensions: The 60D is pretty light at 23.8 ounces for the body only. It is also well balanced with an 18-55mm f/3.5-5.6 IS STM lens attached. Although it is a fairly large camera at 5.69” x 4.17” x 3.09”, it can still easily fit into a small camera bag, will allow it to be carried around for extended periods of time. While most serious photographers look at image quality over technical specifications, many feel that the specifications are equally important. The Canon 60D has excellent image quality, as well as technical specifications, which are shown in the table below. *Information from Canon USA website, including pricing. The Canon 60D is remains a very good camera, despite being 5 years old. It should be no surprise that this camera is so popular. It is affordable, fun and easy to use and produces excellent images, which is all anyone could want out of a camera at any price point. Although replaced by the 70D, the camera is still widely available as a body only. You can check this listing for the latest pricing information. The camera comes with all of the accessories that one needs to get started, with the exception of the lens and a memory card. However, most people buying this camera will be moving up from the “Rebel” lineup and will already have a lens and memory card. Enjoy the 60D as you progress as a photographer; the next step will be to the high-level “XD” series, which is where Canon is hoping you will want to go eventually.